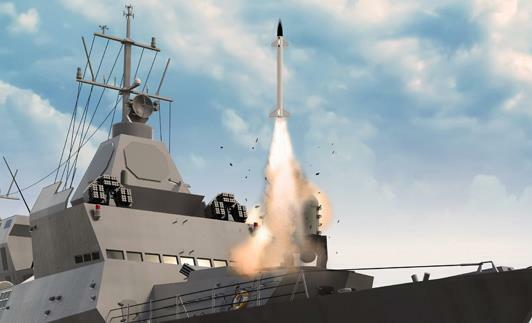 Barak 8 is an Indian-Israeli surface-to-air missile (SAM), designed to defend against any type of airborne threat including aircraft, helicopters, anti-ship missiles, and UAVs as well as cruise missiles and combat jets. Both Maritime and land-based versions of the Barack 8 system exist. Barak 8 was jointly developed by Israel Aerospace Industries (IAI), India’s Defence Research & Development Organisation (DRDO).Barack 8 missile was recently successfully test fired first time from Israeli warship.The supersonic Barak-8 missile system, whose interception range has been increased from the earlier 70-km to around 100-km will be now test from INS kolkata. After Successful evaluation this system will befitted on the Indian Navy destroyer INS Kolkata. According to Defence Experts, the missile system delivers an accurate, high quality, real-time arena situation picture and extracts low Radar Cross Section (RCS) targets even in the toughest environmental conditions. It is a digital Active Electronic Steering Array (AESA) Radar System which incorporates new and advanced technologies. The Barak 8 missile system can operate by night as well as by day in addition to all weather conditions. It is capable of successfully dealing with simultaneous threats engagements, even in severe saturation scenarios. The post Barak 8 Missile:- A force Mutliplier for Indian Navy appeared first on Defence Update.